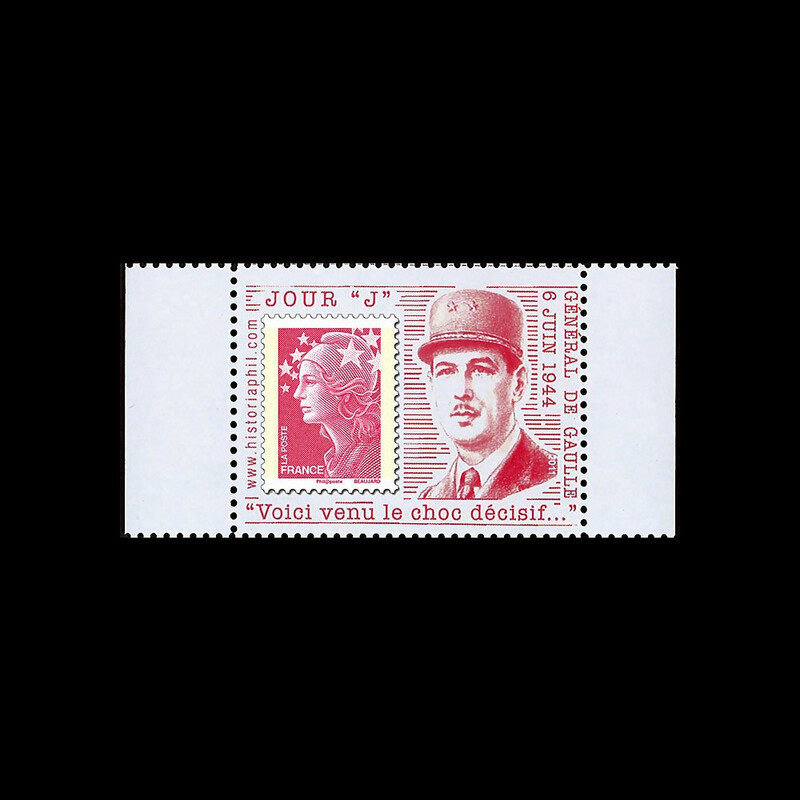 DEB11-3PT2 : 2011 - Stamp Display Unit Red "D-Day - De Gaulle June 6, 1944 : Here is the Decisive Chock"
Franked France 1 value Priority Letter 20g red "Marianne and the Europe, 2010"
CRICQUEVILLE-EN-BESSIN, France — World War II veterans and Sen. John Kerry are commemorating the D-Day landings in Normandy at an iconic and eroding cliff. The visit is one of several events along the coast Monday marking 67 years since Allied forces landed on a swath of beaches in Nazi-occupied France. The June, 6, 1944, invasion and ensuing battle for Normandy helped change the course of the war. Kerry and the veterans are visiting Pointe du Hoc, where elite U.S. Rangers scaled jagged cliffs in one of the most trying missions of the invasion. The limestone and clay cliffs have eroded by 33 feet since D-Day. Pointe du Hoc reopened to the public in March after extensive restoration efforts, organized by the American Battle Monuments Commission. Some half a million people visit the site each year. DEBS1-3 : 2011 - FDC "Omaha Beach, June 1944 : US Soldiers Landing in Normandy"
DEBS1-4C : 2011 - France Collector Booklet 4 Personalized Stamps "Barenton : US Soldiers Singing / Argentan : US Soldiers"
DEB11-3PT1 : 2011 - Stamp Display Unit Green "D-Day - De Gaulle June 6, 1944 : The Supreme Battle is engaged"
DEB11-3PT4 : 2011 - Stamp Display Unit Green-olive "D-Day June 6, 1944 Normandy : General Dwight David Eisenhower"
DEB11-3PT1/5 : 2011 - Set of 5 Stamp Display Unit "D-Day Speech by General de Gaulle & D-Day General Eisenhower"